I know I have posted about the use of Real Fur before, http://fashionmould.blogspot.co.uk/2012/10/fur.html, but I really feel the need to reblog about it. ﻿﻿The Italian catwalks for A/W 2013 have been awash with real fur. Fendi, which started out in 1925 as a Fur & Leather brand, used it to what I think is a disgusting excess. You could find the stuff on pretty much everything in the collection: Fur adorned shoes, belts, sunglasses and even the models’ hair–a small mop of Fur was placed on top to resemble a Mo Hawk! Hideous! Then there were the coats which came in many colour ways & designs, there were even fur fringed coats and skunk like designs for the eveningwear collection. To highlight the use of Fur almost all none Fur items were kept black or white, apart from the odd fuscia or blue jacket. Fendi was not the only one- Marni, who used Beaver, alpaca and long-haired Shansi. 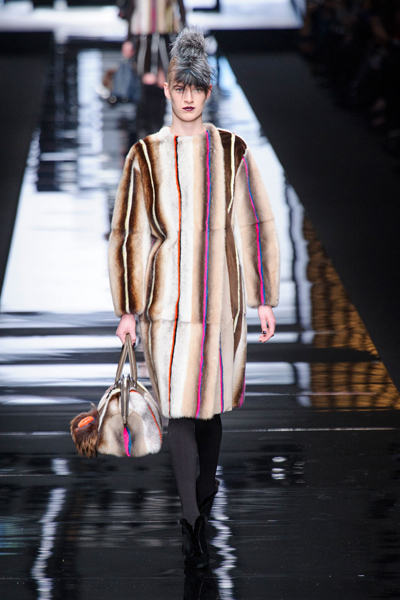 Prada showed jumbo chinchilla coats, Sportmax featured beaver handbags! This Video could cause distress. 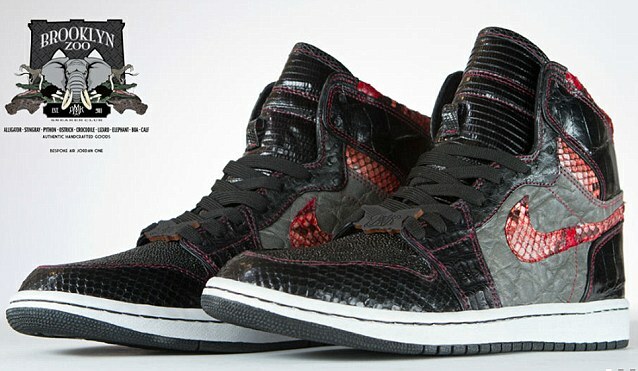 ﻿﻿The use of exotic even endangered animal skins is also being adopted by Nike, who made Jay-Z customised Brooklyn Zoo Air Jordan’s by PMK. They are made out of 10 different animal skins- – stingray, anaconda, ostrich, crocodile and calf – but adds to that morbid roll call with alligator, boa, python, and lizard. And, of course, most shocking of all, elephant skin. The sneakers, which use the heavily grained hide in the side panels, are a customised version of the Nike Air Jordan and cost $2,500 (around £1,664) a pair. Endangered Animal Skin, inc Elepant, Nike Trainers- Shameful! The ONLY place for REAL Fur is on the backs on the owners!